A big part of entering this Second Season, is taking time to be intentional. Life happens so fast. Life can pass us by. There are so many things pulling at us. We wear many hats as women and we work hard to “do it all”. In the end though, we are each exhausted, or close to it. As Beth Moore says, we suffer “activity captivity”. That is not what I desire. I have lived part of my life that way. I’m good at getting lots done, developing a plan, working a plan and accomplishing. In the process though I can miss the relationship building moments, the lessons to be learned, or the general beauty of life around me. I fail at being effective, although I win at being efficient. I continue to ask that God reveal. As I have prayed simply this week for “reveal”, He has met me where I am and with laser like vision I am beginning to see clearly what I hold dearest and where I need to put my energies. I love Women’s Missionary Union (WMU). I am committed to engaging with this group again. I have been blessed with opportunity to serve on the Arkansas Executive Committee and am anxious to work with this incredible group of women to plan for years ahead. We have tall orders and need to carry on the work of those who came before us. Brave women. Women who ignored “what has always been” and set out to do new things, in new ways. Women who knew the importance of women in the home and in our churches. Women need women and I am excited to work with others to support our missionaries, equip women to serve and help women find their place of service. I love Ouachita Baptist University. A lot of family history involves this institution. As I work with the Pruett School of Christian Studies Advisory Board group I look forward to learning about the new generation of students, how they are impacting the world. I am looking forward to meeting young women who long to change the world. I am excited about the possibilities this university holds for my girls. A beautiful campus, with many degree options. I don’t know how we will pay for it, but He is reminding me to keep the door open, take it step at a time. Most of all I love helping women. No accident God gave me two girls! As I met with a younger than me woman this week about Christian Women’s Job Corps, I began to see something new revealed. I am looking forward to learning more about this ministry, how I can use my gifts, talents and time to help. 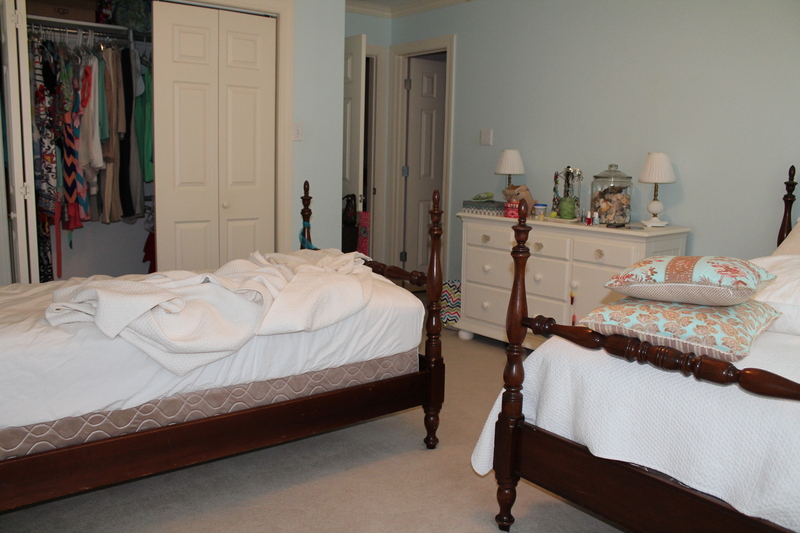 We are leaving the walls the same, but moving the furniture, doing new artwork and incorporating some monogram linens to blend with the couple of throw pillows we picked up on sale. Of course there’s a request for some chevron, so I feel certain it will make its way in as well. All in all, it’s a great time. Life is good. It’s not easy, It’s not without hardship and worries, but it is good. As I wait for reveal I know I will stay focused and hopefully be the effective wife, mom and woman. It’s requiring I let some things go. It’s requiring some time. But in the end, it will be the full life.